TVNZ 2 is refreshing Friday nights to try to dent the enduring dominance of Three’s light-ent juggernauts The Graham Norton Show and 7 Days. Back-to-back reality shows failed to gain traction, so after a month of Friday night movie double-bills, the network will run more more varied series programming from April 20. 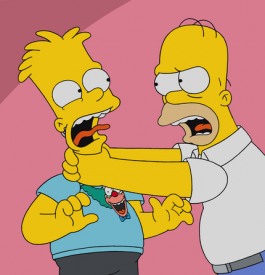 The new-look schedule will open with The Simpsons at 7.30, following TVNZ 2’s inability to turn it into a Sunday night hit, continue with the locally made New Legends of Monkey, and round off with panel show Taskmaster, which previously screened on Duke, and newcomer One Night With My Ex. The Simpsons will resume from episode eight of season 29, when it “goes back to Lisa’s future,” while Monkey will screen free-to-air a week ahead of its global roll-out on Netflix. The latter hit the headlines in January when viewers were urged to boycott the series because only one actor in the core cast was of Asian descent. 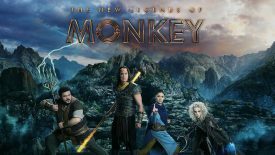 The TVNZ/ABC Australia/Netflix collaboration stars Josh Thomson (The Project) and Luciane Buchanan (Filthy Rich) in a remake of an ’80s series about a motley trio of fallen gods who unite with a teenage girl to end their world’s demonic reign of chaos. Following the kidult hour will be UK panel hit Taskmaster, ahead of the 9.30 premiere of One Night With My Ex. With humour, tears and life-changing jeopardy, this is a hugely revealing and voyeuristic look into other people’s relationships full of cliff-hangers and ‘will they, won’t they’ moments. From those who can barely look each other in the eye to those who get straight to the pillow talk, this series opens up individuals and relationships like never before. Thank God for Friday nights, something worth watching. We need to spread this trend through each week. Come on, why Car Crash TV and Naked Attraction? What’s more important than all this rubbish are top quality shows, so come on TVNZ 2.